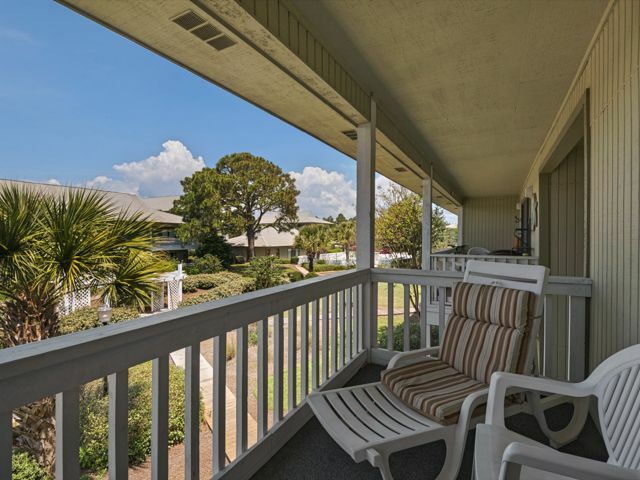 Beautiful condo located close to Seaside and the 30A Bike path! Enjoy the views of the lush landscaping from the balcony of this 2nd floor condo located in popular Beachwood Villas Condominium. Enjoy granite counter tops and new cabinetry in the kitchen as well as beautiful wood flooring throughout the main areas and bedroom. Watch your favorite movies on the new flat screen TV in living room. This 1-bedroom vacation rental with a queen bed is all you need to experience a great beach vacation in Scenic Seagrove Beach, Florida and is within walking distance to shops, eateries, and the beach access. There's a public beach access conveniently located across the street for a leisurely walk to the beautiful white sand and crystal-clear waters of the Gulf of Mexico. Nice condo, clean, accessible to beach and bike path, comfortable…except for the bed! The mattress was deep, soft, and the bed was creaky. Stairs were rather steep and slanted down. Probably not the best choice for us 70-somethings! Great proximity to the beach! The condo was nice and clean. Would have liked to have had more than one roll of toilet paper. But otherwise it was great!